Since 2009, it's always my tradition every end of the year here in Bits of Rocks to share with you my personal yearender blog post wherein I share the highlights of my year. From Top 10 to now's Top 15, exciting revelations of the year that was always surprise my readers. 2015 was really a very good year for me. Yes, it was truly my lucky year. 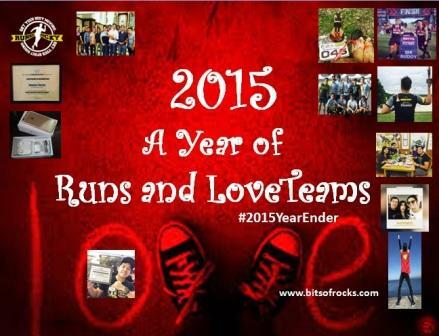 "2015: A Year of Runs and Love Teams," sounds intriguing right?! Yeah, that best describes my 2015 as my year revolved mostly on runs and on my personal 'love teams.' And I will describe these things one by one. - Who said there's no 'forever'?! Well, there is! A friend can be forever! And glad that we met again inline with our 10TH Year anniversary, September 14, 2005. We unexpectedly met again during my Banchetto Night Market event in BGC. He approached me and had a new round of selfies and pictorials the way we always do way back in college. Rockyron, our tandem and the original "Mulawin" superheroes reunited after 10 years to celebrate a decade of friendship! 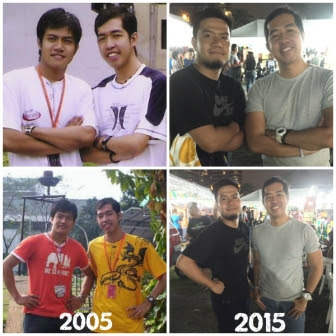 Just to note, after college, we also met in 2010 and 2012 before our 10TH year reunion last September 2015. And yes, rockyron is our combined name - Rocky and Byron (Lord Byron his complete name). And both of us were 1/4 Chinese, if I am Chua, he is Tan on the other hand. - Aside from Runner Rocky, you can also call me as the Blogger King being one of today's pioneer and one of influential bloggers with a true passion and heart for blogging and social media (humbly speaking). Last year, I've reached my target to gain 1,000 plus followers in instagram although I'm very new to that said picture-sharing social media. And my target for 2015 is reach 2,000 followers. August 2015, I have achieved my goal as I reached my target followers. As of this writing, my IG followers are 2,264 though I have minimal posts. - Though my blogging career revolves around meeting different stars, celebrities, and personalities, I still haven't met yet some of the known names in our industry. And 2015 paved way for me to meet the different personalities in the fields of music, showbiz, fashion, and sports. 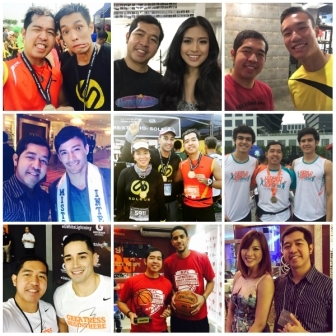 Some of them that I have met this 2015 were Chris Banchero (PBA Heartthrob), Gabbi Garcia (GMA Young Actress), Chris Dayto (AZKALS Player), Hideo Muraoka (Brazilian Model), Gabe Norwood (PBA Star), Luane Dy (TV host), Mica Reyes (Volleyball Superstar), Shot Reyes (Gilas Pilipinas PBA Coach), Reyn Talosig (Model Athlete), Daryl Ong (Singer Heartthrob), Neil Perez (Policeman and Mister Philippines 2015 Winner), and Jason Dy (The Voice Ph Grand Champion). Glad that I met them for the very first time! - I got two new inaanaks this 2015. They are Baby Sophia and Baby Emmanuel from my two close friends. Baby Sophia is the first baby of my college bestfriend Marfe Antoniette Bermudo-Mallari. She was wed last 2014 to my now's bayaw Richmond (you may read back their wedding story in my 2014 blog post). The name Sophia or Pia is Angel Locsin's name in her movie with Richard Gutierrez called "Let the Love Begin" which reminded me of someone. :) I wasn't able to attend the baptismal of Baby Pyang because I was in Baguio (March) during the said date. My second godchild for the year is Baby Emmanuel, the son of my close friend Eric Del Mundo. Eric is one of my close friends in our running group Team Run Direction and in our barkada group Happy Kids. 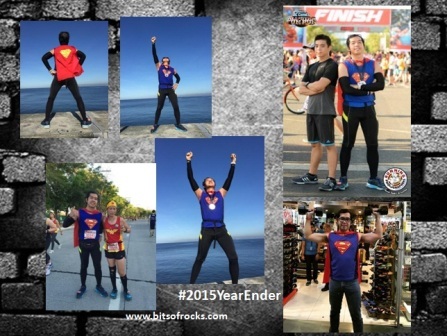 Eric and I became close friends only this 2015 after our urban guerilla race last April. I bet, Baby Emmanuel will be a runner and marathoner soon since majority of his ninongs were runners! And did you know that right after our Run United 3 Philippine Marathon in SM Mall of Asia, we rushed to the church in North EDSA to attend Baby Emman's baptismal?! It was such a cool marathon story - from run to baptismal! Baby Sophia and Baby Emmanuel are like my own anaks. And I'm proud to be their cool ninong! Certified Kapuso Blogger Award! Proud Kapuso! - Though I started as a Kapamilya blogger and most of my followers were from Kapamilya, I'm glad that the Kapuso network recognized me as one of their best bloggers. Kapuso station truly take care of me - they always invited me in their events, recognize my talent, and talagang pinahalagahan ako! I admit, I'm not a Kapuso before but because of this good treatment and the efforts from the GMA social media people, they caught my heart! Nakuha nila ang puso ko! And I'm now proud to be one of them! I can't say no whenever they invited me in their events and I really make ways to attend their happenings. Kung binabalewa ka lang at dinededma ng istasyong sinuportahan mo, here in GMA-7, I really feel the love! Thank you for the love Kapuso! MaGMAmahalan tayo kahit di na Pasko! Excited for their new events this 2016. - 2015 truly proved to be my lucky year! I always won in most of the raffles whether minor or major from different running events, presscons, or even in our company. Some of the major prizes I have received this year from the raffles were a Happy House Donut Franchise during our EntrepRun media launch, a Soleus GPS Watch during our Financial Fitness Run, and a membership privilege and overnight stay at the New World Hotel during our company Christmas Party! So lucky indeed! - Receiving a 64 GB iPhone 6 as a gift was truly the biggest luck I received for the year 2015. It was given to me by my friend and owner of the restaurant. I've organized and hosted her events and write good reviews and write-ups to her restaurants. I even brought good bloggers to her during our food tasting event. 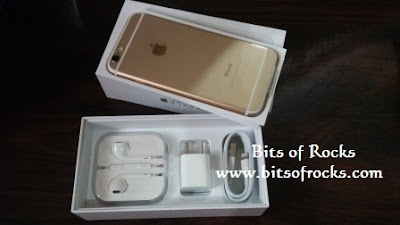 iPhone 6 then served as my recognition. Thank you very much mam! Aside from iPhone 6 this year, last 2013, she gave me a Canon Digital Camera which she bought in Hongkong. I'm very much thankful for this! - Yours truly the Blogging King ruled this 2015. I was the official media partner of different events of different fields - mapa-running, mapa-showbiz, or mapa-concert. The logos of my blogs were printed in their official posters, tickets, or even in the singlets. 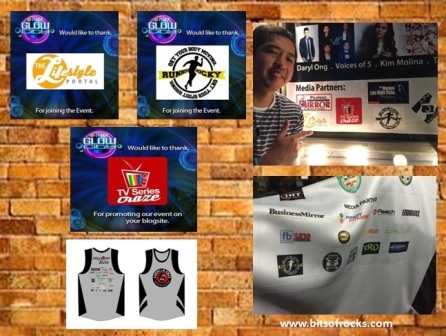 This 2015, I am the official media partner of the following: Celebrity Basketball (Basketball with the Stars) held in De Lasalle University Dasmarinas, Johann Mendoza Concert in Music Museum, Glow City Zumba Party in Quezon City, and Guerilla Race 2015 in Timberland Heights San Mateo Rizal. - 2015 was my year of fitness, runs, and obstacles. This year, I have conquered a military-inspired run called the Guerrilla Race aside from taking fitness training into the next level via Crossfit in Crossfit Salcedo and Men's Health Training Combine. And glad that I found my fitness buddy Karl Mikhail. I dubbed Karl as a "Master of Obstacles." He's not the typical gym-goer because he has skills in stunts and obstacle courses. In fact, he ranked second place in our recent Guerrilla Race in San Mateo Rizal. Karl and I both have a passion in fitness. He even trained and showed me some fitness stunts. We conquered different obstacle runs such as the two Guerrilla Races and the Men's Health Urbanathlon Survival of the Fittest in addition to the runs like Run for Odyssey, Affinitea Brown Race Marathon, and The Music Run. 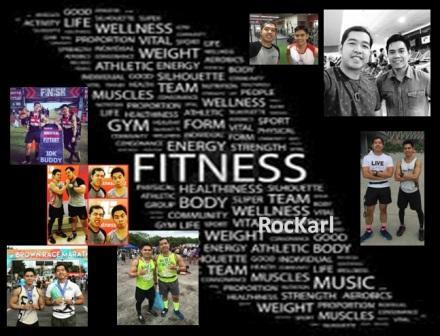 Soon in my blog Runner Rocky, we will share our fitness videos demonstrating fitness activities and stunts. RocKarl rules! - A brokenhearted version of me brought me to our barkada group called as the Happy Kids.Yeah we are group of good friends founded by now my close friend Fahad. Fahad and I became close friend last March 2015 during the time that I was brokenhearted. I revealed to him my situation. And he shared to me his own heartaches. From then on, we became good friends together with my other close friends in TRD like Eric and Ian. Our group expanded with the addition of new good friends. And we called our group as the "Happy Kids" since Fahad our founder always uses the hashtag #HappyKid in most of his status. Happy Kids is our cool barkada reminding me of the youth-oriented shows before like "Gimik" and "TGIS." 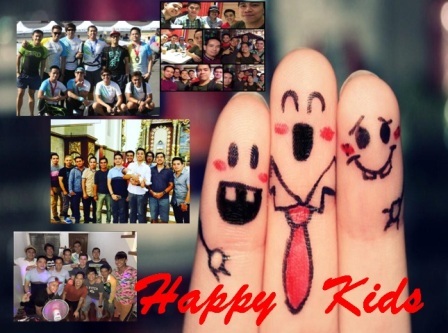 "Happy Kids" starring Fahad, Rocky, Ian, Eric, Emart, Eduardson, Karl, Chano, Onin, Gil, Emerson, and Julius. Haha! We were all fitness enthusiasts as well! And before we jump to the next item, did you know that aside from Fahad, the hashtag #HappyKid was always used by my ex in the posts?! - I don't want to elaborate this anymore. And yes, this was the caused of my heartaches this year! I suffered from this from March to October. Imagine 7 months! And the 3-month rule didn't work for it! Ang dami nang itinambal sa akin ha pero ang hirap niyang palitan! LOLS! Well if I have four letters in 2014, this 2015, it was downed to three letters! Read between the lines na lang to avoid issues. Baka maghabulan na naman kami pag nagkita! Playing the Character of Superman! - If in 2014 my most remarkable character was a merman when I turned to be a merman in Ocean Park, this year my iconic character was the man of steel Superman. I wore the superman suit during our DC All-Star Superheroes Run in April. And yes even in real life this year, I was like superman when I was able to defeat the 'salot' (villains) in our office! 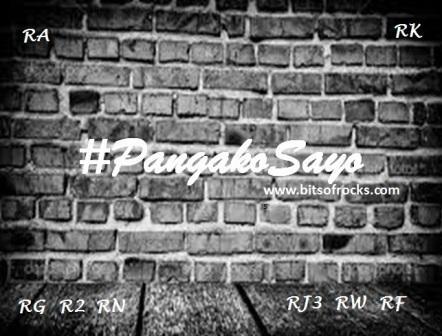 My life and challenges I've underwent this 2015 were like in "Pangako Sa'yo." Just like the iconic Amor Powers na inapi nung una eventually turned vengeful and powerful defeating the enemies! "Matitikman nila ang batas ng isang api," her famous line in the teleserye holds true. Well I can say, para akong pusa na may siyam na buhay (sa opis) na pilit pinabagsak pero di nila nagawa! In the end, ung mga gustong magpabagsak sila pa 'ung nawala! - Love teams were truly a huge hit in showbiz this year. Well, magpapatalo ba naman tayo sa KathNiel, JaDine, LizQuen, KimXi, at AlDub since I also have my own love teams in real-life?! And yes, not only one but seven ang naging ka-loveteam ko this year! Haha! But the negative side of it, naging puro love teams na lang wala nang naging for real life! ;( Reel versus Real, should I believe now to #WalangForever?! - It was more than a dream come true! Before, I just wished that my new blog will be part of the Top 10 Emerging Influential Blogs. But, God gave me more - my new blog Runner Rocky took the No. 1 spot in this prestige credible award-giving body. Bloggers and online influencers will pick and vote for the new blogs (one year old blogs) which they think made a great impact and influential to people. And they voted for Runner Rocky, my fitness, sports, and marathon blog. It received the most number of votes surpassing the other new blogs. Therefore, it captured the No. 1 spot. Thank you! - In relation to Item No. 2, the Top 1 in my Top 15 of 2015 list goes to no other than Runner Rocky! Yes, aside from being an emerging influential blog today as proven by the mentioned award above and as being a media partner in most of the huge events in 2015, my year also revolved mostly in fitness and running and I wrote all of them in the said blog. And of course love teams, di ba mostly sa running nabuo?! 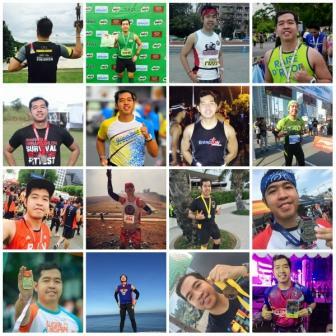 In terms of running, 2015 also paved way for me to conquer new forms of runs namely the obstacle races like the Guerilla Races and SyncRUNize, the music-inspired run like The Music Run, and of course the ultramarathons like the 50K Ninoy Aquino Day Ultramarathon, the 50K 2-Man Relay Rizal to Rizal Ultramarathon, and the 120K Bonifacio Day Ultramarathon (4-Man Relay). I am now indeed a certified master of obstacles and ultramarathoner at the same time! And that's my list of my Top 15 of 2015 highlights of my year concluding my 2015. Indeed my major roles for the said year was a runner, blogger, and lover all rolled into one! How do you find my real-life stories for the year?! You had a wonderful 2015, indeed! For sure mas maraming excitements and suprises ang 2016 sayo, kuya rocky 😀 God bless you more & more! Indeed you are so blessed and 2015 is really your year.. Hope this will continue until 2016 and sana madamay ako haha. cheddy.. Always Pursue your dreams..
Congratulations Rocky for having a successful and memorable 2015. Truly, God is really generous for the past year. Let's face the new year with great optimism and hope for even better opportunities. Rock on! January 2016: "Cheers for the New Year"